A corporate event is an opportunity to achieve one or many goals your business may have. Its purpose may be to celebrate a significant milestone or achievement in the company’s history, to give staff a chance to let off some steam, or to fête a favoured client. Whatever your purpose for booking space in Melbourne and seeking corporate entertainment, you’ll need to be able to provide those in attendance with a way to better enjoy the evening. If you are trying to find corporate event entertainment, we have everything you need at Blue Planet Entertainment. When you book corporate event entertainmen twith Blue Planet for your next corporate function you have the peace of mind of knowing that your artist has been carefully screened, in real working conditions. At Blue Planet Entertainment, we bring years of experience and a diverse set of booking options to the table for all our clients. Our focus is on providing an attentive level of service that enables you to not only book the perfect act for your event but to help set the stage for a memorable occasion. Do you want the entertainment to have the full focus of your guests, or do you prefer it to be a smaller part of the event? We can help advise you on the right way to proceed. We maintain close connections with a wide variety of performers. Through our team, you can book everything from jazz and cover bands to motivational or informational speakers to enlighten your guests. Check out our full list of available choices to get a sense of what we can achieve together. Ready to treat your staff in Melbourne to corporate entertainment that will keep them engaged and excited? Contact Blue Planet Entertainment today to let us know how we can help. There are several corporate event entertainment specialists available in Melbourne, but you have to choose the one who has unique and latest corporate event entertainment ideas, performers and acts. A reputed, experienced and professional one will provide you with all that you can expect for your specific corporate event, including DJ Hire, a recording artist, keynote speaker and others. With Solo performers to enhance that exclusivity and capture that glitz and glamour which will catch the attention of your and party members. So, if you are planning to hold a corporate event, then book your corporate event entertainment well in advance, as all our performers are in high demand – avoid disappointment and book today. Ensuring that everyone that comes will be talking about how much fun they had, and they will definitely come the next time you send them an invitation. Almost every company holds a corporate event one time or the other. But one thing is for sure, these events are not meant to be boring or monotonous like a business meeting or a conference. 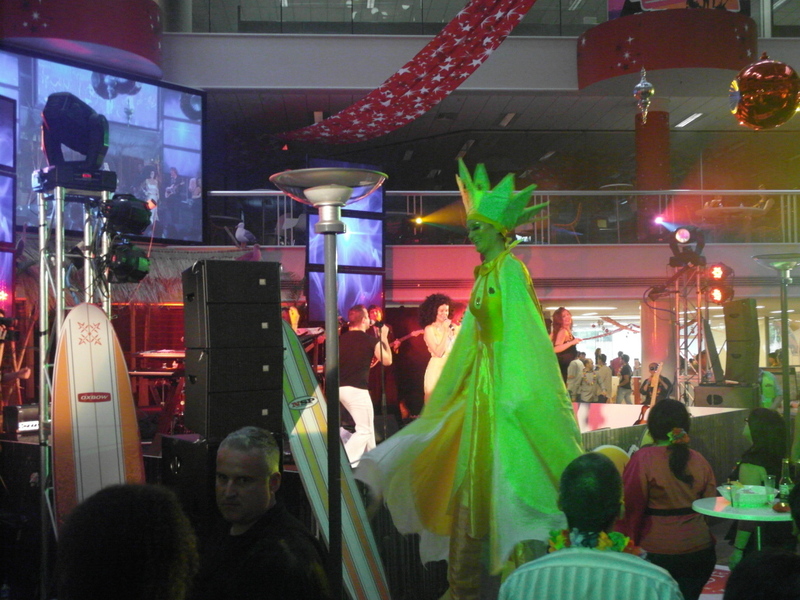 After all, corporate events are also a great way to entice new customers, clients and make a lasting impression. Almost everyone enjoys music and nothing can be better than music to celebrate your corporate event. Your employees, clients and customers will dance to the rhythm through the whole night, and retain a lasting impression based on the ‘fun’ factor. It is an old saying that music has the ability to heal mind, body and soul, and you can take advantage of this for your corporate event to close that big deal. As reputed corporate events managers we will come up with unique corporate event entertainment ideas, as we would suggest incorporate different types of music in your corporate party to cater for the various age and taste of your guests.